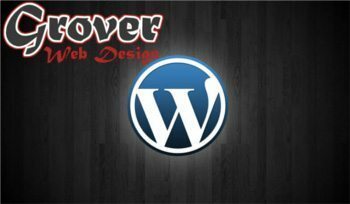 Grover Web Design loves WordPress!! What can I say… WordPress is the best platform out there period. It’s perfect for blogs, websites, e-commerce, real estate or absolutely anything you want to do. That is why Grover Web Design is focusing on developing primarily with WordPress. The basic WordPress designs start at $4,800. This is pricing level I and includes the following: basic user interface architecture; custom theme; a contact form; personal training; and much more. If you are an existing Grover Web Design customer and would like to migrate your site over to WordPress, then you in for a great deal! We are currently offering a $2,000 WordPress Migration and upgrade package. This will migrate your site over to the WordPress platform and give you 8 hours of update time on your site. *with the WordPress architecture your site will be easier to maintain and more flexible. That means no more paying GWD hourly rates to make upgrades to your site!